I actually do have a full version of Polyboard and use it on daily basis. I like its flexibility and its vast options. Now I know who to ask for any tips and tricks in the future. Thanks again! Don’t forget to set the view point back to flat from the back. 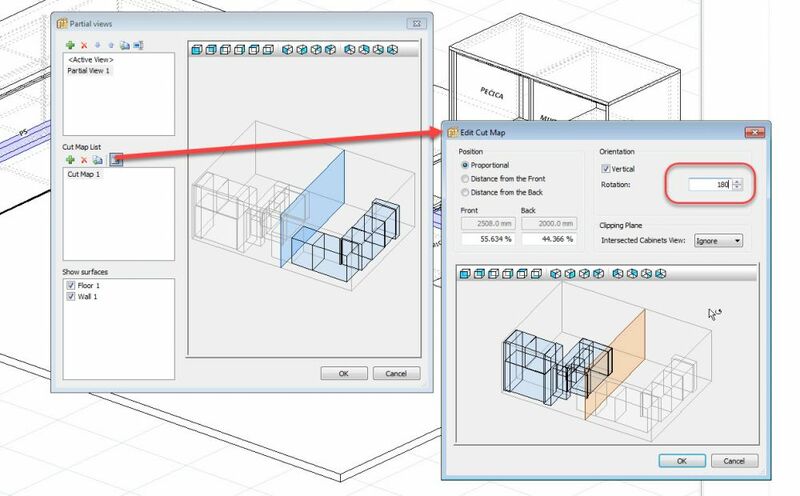 To get more detailed dimensioning on plans consider exporting the 3D DXF model into Draftsight or SketchUp. You can add more dimensions, annotations etc. We have lots of clients that do this and it works really well for getting detailed technical documents from Polyboard. If you don’t have a full Polyboard version to produce the 3D model, you can even use our free 3D DXF file service. 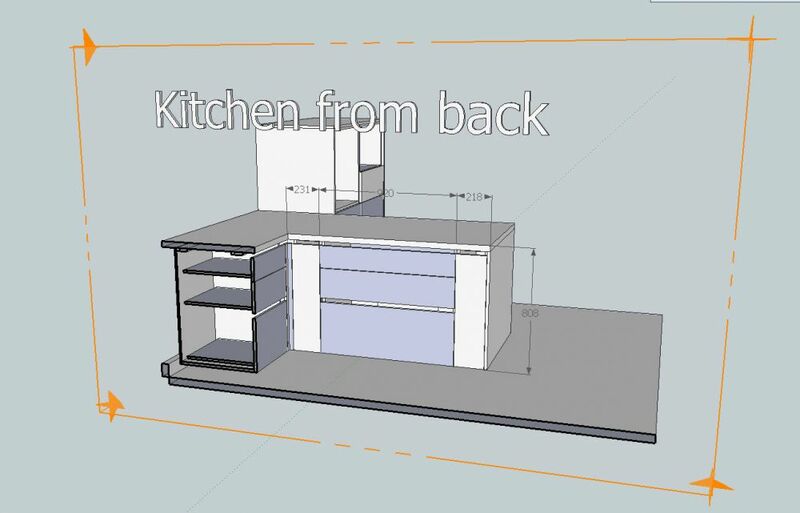 I attach your model in DXF and SketchUp format so you can try it out. I have a small problem regarding setting a partial view in my project. I would like to set a partial view with a cut map, so that I could see only certain cabinets. I followed the tutorial on the topic but I still struggle. Any ideas maybe? I thank you in advance for any help or tip. I uploaded the polyboard project file. 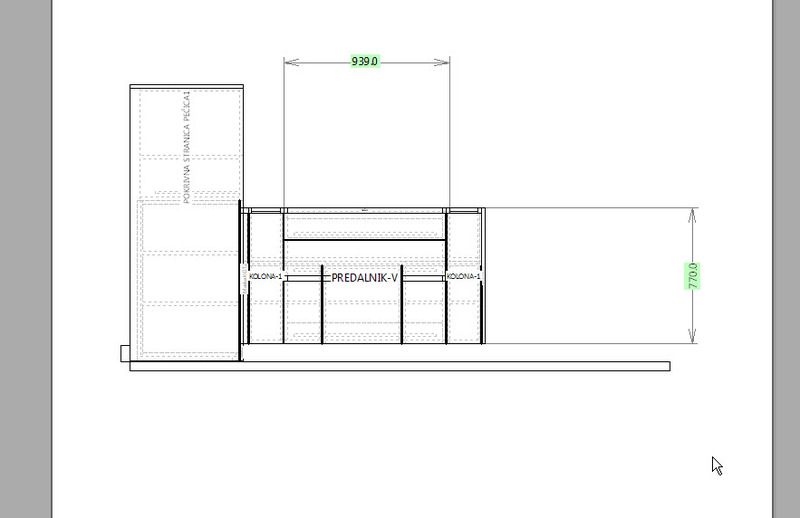 What I would like to see is the “PREDALNIK-V” section from back view without other cabinets.